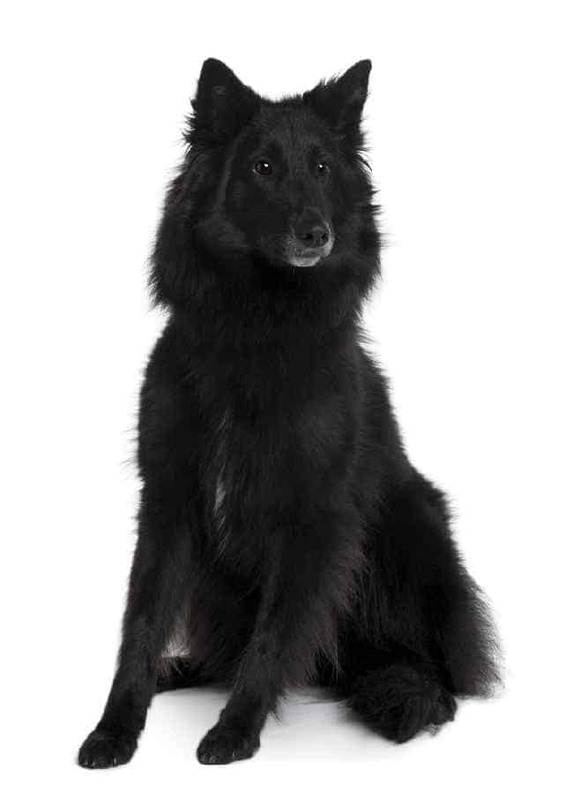 Belgian Sheepdog Temperament (Intelligent, Active): Are You Up for the Challenge? The Belgian Sheepdog temperament makes him a bit of a challenge. He can be as loving and loyal as he is dominant and active. The Belgian Sheepdog is intelligent, and intelligence can be a curse. Why? Because if you can’t keep him challenged, he will easily grow bored. And, as we all know, a bored dog is a destructive dog. You must constantly supervise him and give him structure. You also must constantly come up with new things to keep him entertained and keep his mind sharp. The Belgian Sheepdog is fiercely loyal to his family. He lives to make them happy. This is not the kind of dog that would do well in a kennel or as a watchdog outside. He needs his people around him always. In fact, he may begin to experience separation anxiety if you leave him alone for too long. For this reason, a Belgian Sheepdog may not be the best choice for you if you work long hours and would need to crate him all day. 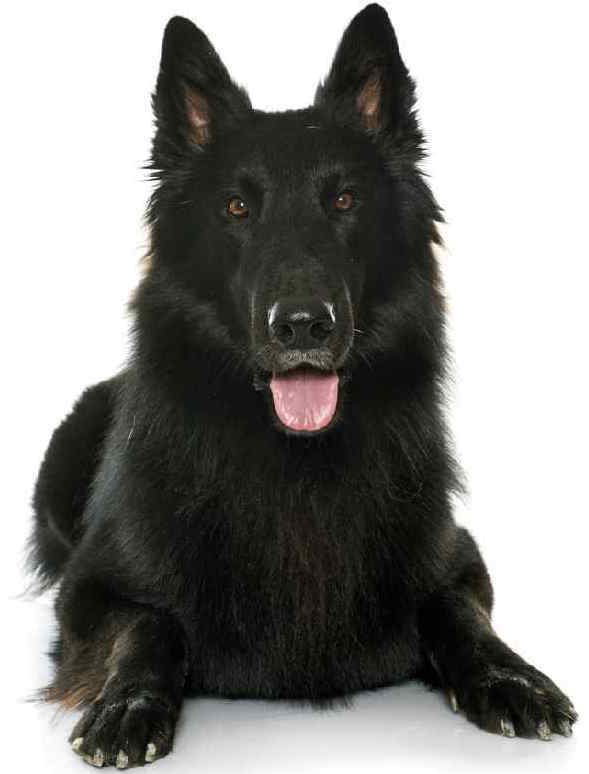 While he may be large and intimidating, the Belgian Sheepdog is a love bug with his family and close friends. In fact, what some see as dominance with regard to the Belgian Sheepdog’s behavior is actually his way of showing you that he loves you. One such example of this is if a Belgian Sheepdog sits on your feet. Some see this as the dog’s way of dominating you, but he’s actually showing you that he has accepted you as a member of his pack. The Belgian Sheepdog is always on the go, never stops moving. This is a good thing because, so long as you can keep up with him, he will stay healthy and fit into and beyond his twilight years. The Belgian Sheepdog is a powerful dog, and if he senses another dog is challenging his power, he will think nothing of fighting back. This is true even if the Belgian Sheepdog is obviously unmatched and in over his head. However, what he may lack in size when up against bigger dogs, he makes up for in agility and jumping. He’s kind of like the guy in a boxing ring who’s facing an even bigger guy, so he dances around so as not to get hit. Belgian Sheepdogs are on high alert when strangers come around. They have a strong protective drive, which you can help him properly channel by way of socialization. The less threatened he feels by other animals and people, the less of a need he will feel to engage the more dominant part of his personality. You also must show him that you are the leader in your relationship, or he will assume that he is and will walk all over you. Similarly, this is a dog that you must raise with other dogs to lower the risk of dog-to-dog aggression. 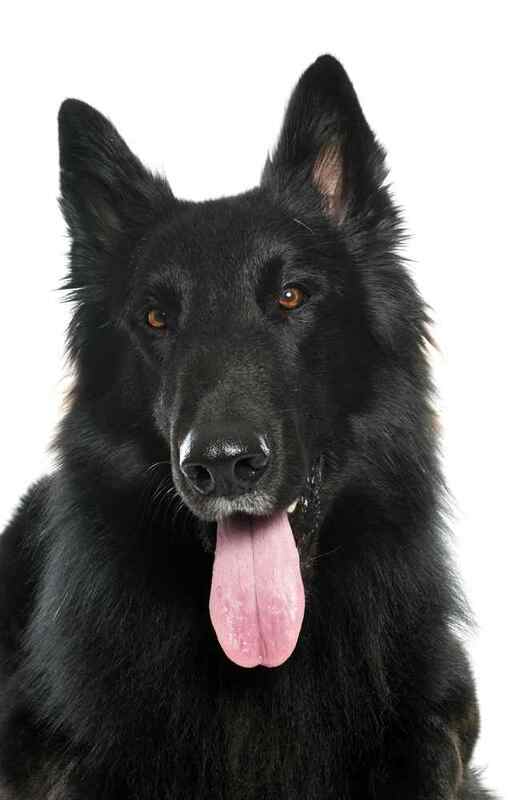 You can’t simply bring a Belgian Sheepdog home and expect him to get along well with your other dogs. You also should be careful with him around smaller animals. He has a strong prey drive, and some Belgian Sheepdogs are more likely than others to take off after anything smaller than him that moves. The Belgian Sheepdog, also referred to as the “Belgian Shepherd Groenendael” or, more simply, just “Groenendael,” hails from Belgium. Belgians have always seen the Belgian Sheepdog, along with three other dogs, as versions of the same breed: the Belgian Shepherd dog. They base this theory on the dog’s color and the texture of his coat. The other three dogs are the Laekenois, the Belgian Malinois, and the Belgian Tervuren. The American Kennel Club recognizes all four dogs as separate breeds. This is actually a bad thing because such a classification forbids these four dogs from breeding with each other, which reduces their numbers. Thankfully, there’s nothing really noteworthy to say about training a Belgian Sheepdog. They enjoy pleasing their owners, which makes them easy to train. One thing that always helps, no matter the breed, is early socialization. You want to introduce him to as many people and dogs as possible, and as often as possible. You can also incorporate puppy training classes into your schedule if you feel you need some extra help. 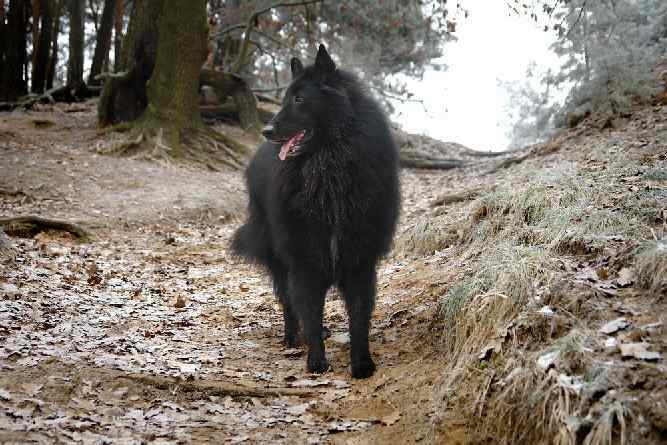 When it’s not shedding season, the Belgian Sheepdog’s coat is rather easy to maintain. Brush him once a week, and only bathe him if he gets into something really messy. Shedding season occurs once a year, and it seems like he gets it out all at once. You will need to brush him every day to remove the dead hair from his coat – and to save your floors and furniture. Belgian Sheepdogs require daily exercise, but he wants to exercise with you. This means that you can’t just open the back door and let him romp around in the yard for a few hours. He likes to do things with his humans. Belgian Sheepdog puppies are generally pretty healthy. But every breed has some health concern or other that you have to watch out for. The Belgian Sheepdog's life expectancy is between 10 and 14 years. Interested in making a Belgian Sheepdog a member of your family? Here are some ways to go about doing that. You can research breeders who specialize in Belgian Sheepdogs, or you can check the “stock” at your local rescue or adoption agency. The average Belgian Sheepdog price is between $1,200 and $1,400. Some dogs are more expensive than others due to their bloodlines and the prices Belgian Sheepdog breeders decide to charge. If you want to adopt a Belgian Sheepdog puppy, you may be able to find one at your local rescue organization or adoption center. An adoption is ideal if you would prefer a Belgian Sheepdog mix. This is because people tend to hang onto their purebreds, so mixes are more often found in animal shelters. You may want to check out the website for The Belgian Sheepdog Club of America if you are researching reputable breeders. Currently, there are only seven states listed on their website with regard to breeders they promote. Else, you can do your own research online. Just be sure to pick a breeder who lives close to you. Many people choose to buy a dog over the internet because there are no breeders around in their state. However, if you can’t visit the dog or its living quarters, then you have no idea the kind of dog you’re going to end up getting. Conclusion: Why the Belgian Sheepdog? If you want to bring home a Belgian Sheepdog, it is important that you are aware of what you are getting yourself into. This is a very active dog, and he needs his humans to be active with him. There is no lazy dog ownership here. If he’s going outside, then you’re going outside with him. He may also exert a strong dominance over other dogs and even people if you do not properly socialize him from the start. And no matter how socialized he is, he may still give into his instinct to hunt prey if a smaller animal crosses his path. Next post: Clumber Spaniel Temperament (Loyal, Affectionate): Who Couldn’t Love This Dog?